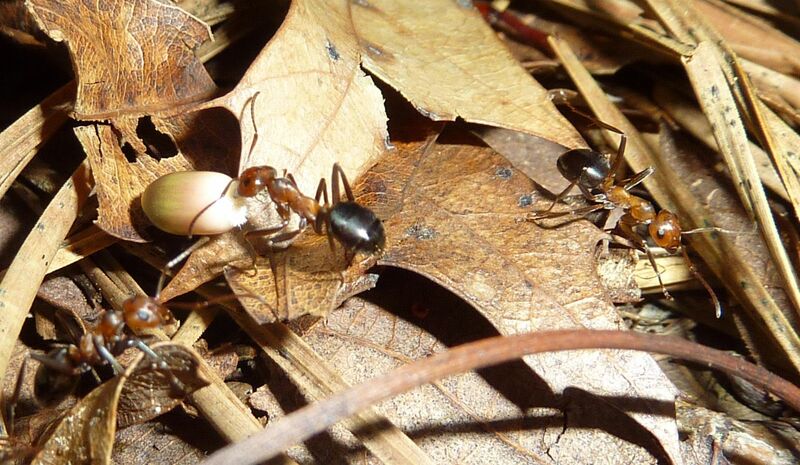 On Sunday July 22, a few of us ant enthusiasts got together at the Rancocas Nature Center and Turkey Swamp Park to see what we could find. We spent most of the day at Rancocas where we found a lot of the usual suspects among ants. Camponotus chromaiodes, C. pennsylvanicus, assorted Aphaenogaster, Formica and Lasius species. Most of these are ants you can find in your own backyard or local park provided there are trees around, dread wood present, or rocks to look under. 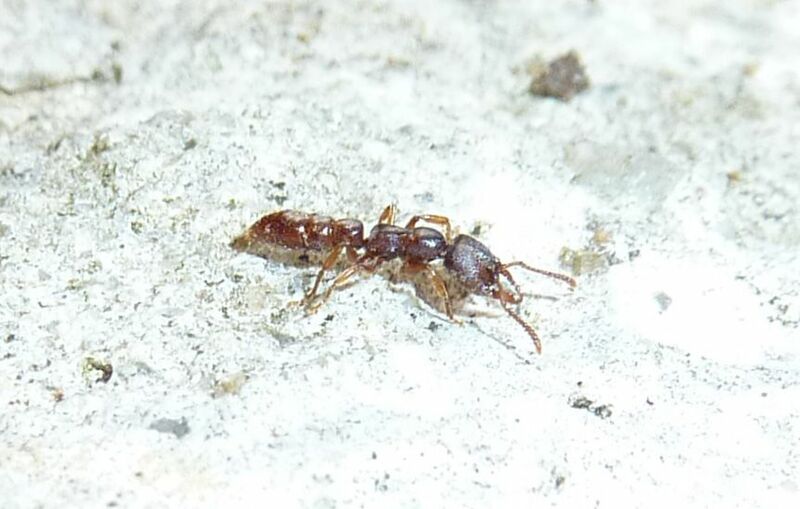 Some of the rarer ants though included a Pyramica colony, which are specialized predators of springtails and only found in leaf litter and rotting wood. The Pyramica colony we found in better detail thanks to Matt. Proceratium is another such specialized predator. The end of the gaster in its normal state curves around to point forward. This allows the ant to sting pray items in the tightest of spaces. This is not an ant one typically finds without sifting through leaf litter and dead wood. Stigmatomma pallipes, (formerly Amblyoponera) is a specialized predator of centipedes. After taking down a pray item they haul it back to the nest for their larva to devour. In normal ant societies the larva would then regurgitate the digested food for the workers, however these ants don't do that. 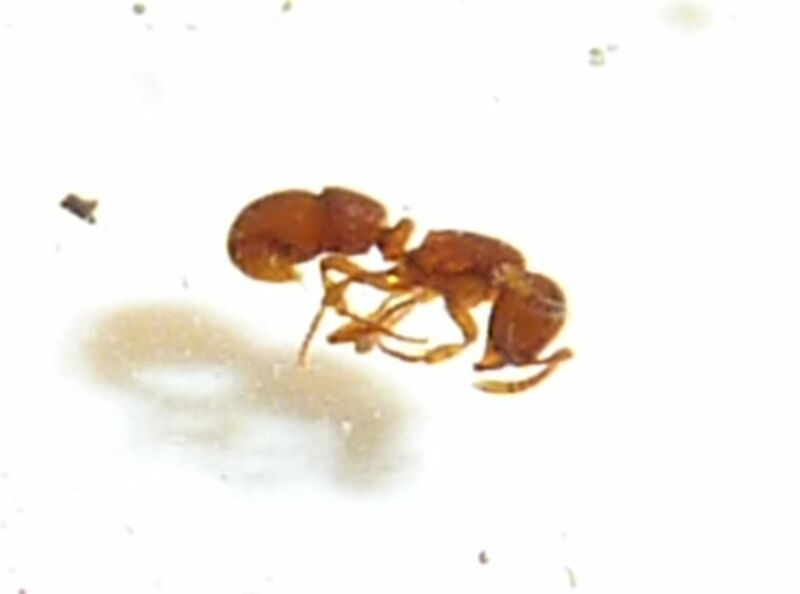 Their common name Dracula Ants because the workers will puncture their own larva in nonlethal ways to feed on the hemolymph (insects blood) within. A pretty cool find if I do say so myself. Polyergus lucidus was another cool find, and somewhat more common. They're parasitic ants that raid Formica colonies for developing cocoons. Brought back to the nest the young Formica workers are born into the Polyergus colony and go about their normal tasks of foraging and maintaining the nest. 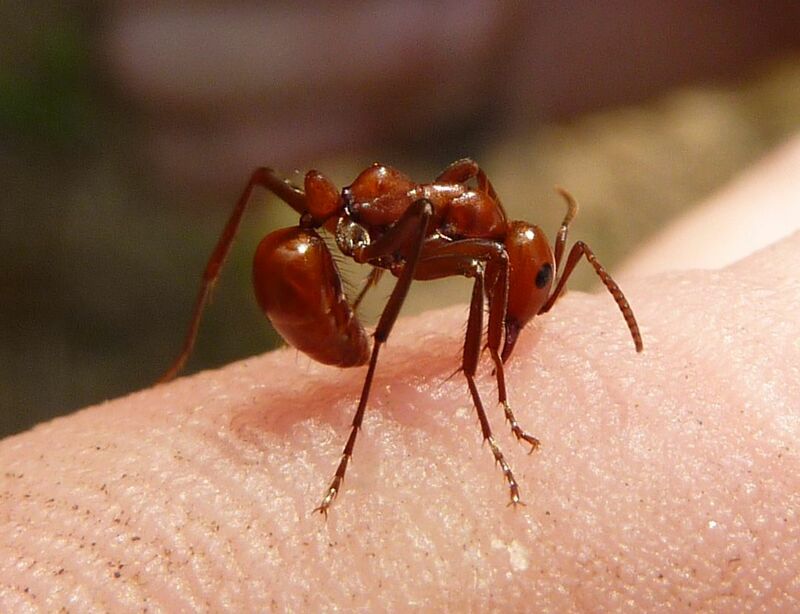 Polyergus are sometimes called slave raiding ants because of this but the term isn't all that accurate. 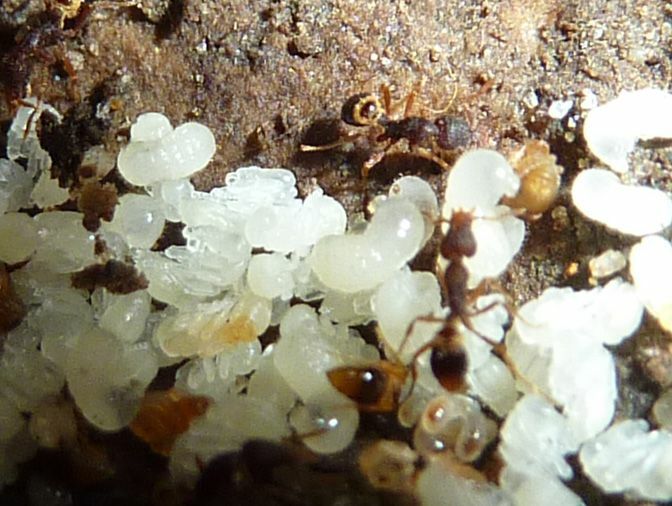 The Formica workers are doing what they would do naturally had they been born into their own Formica colony. Formica exsectoides by far was the most impressive ant I've seen to date. 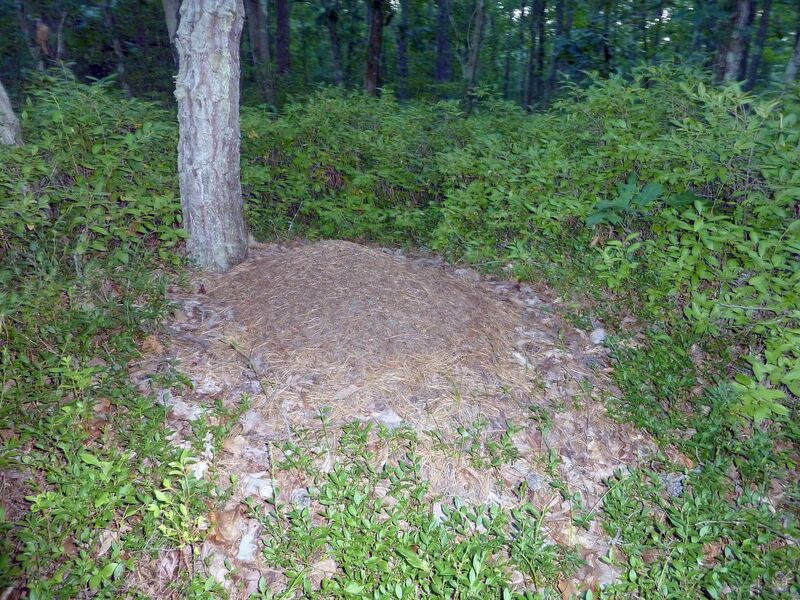 Their mounds are massive, they forage a good 60 to 90 yards away, they setup sub colonies pretty much wherever there is sun, and you can hear them rustling through the leaves of the forest floor. They spray acid to fend off bear attacks on their mounds! These ants are awesome! Overall this was a successful ant trip, and I hope to do this again next year. 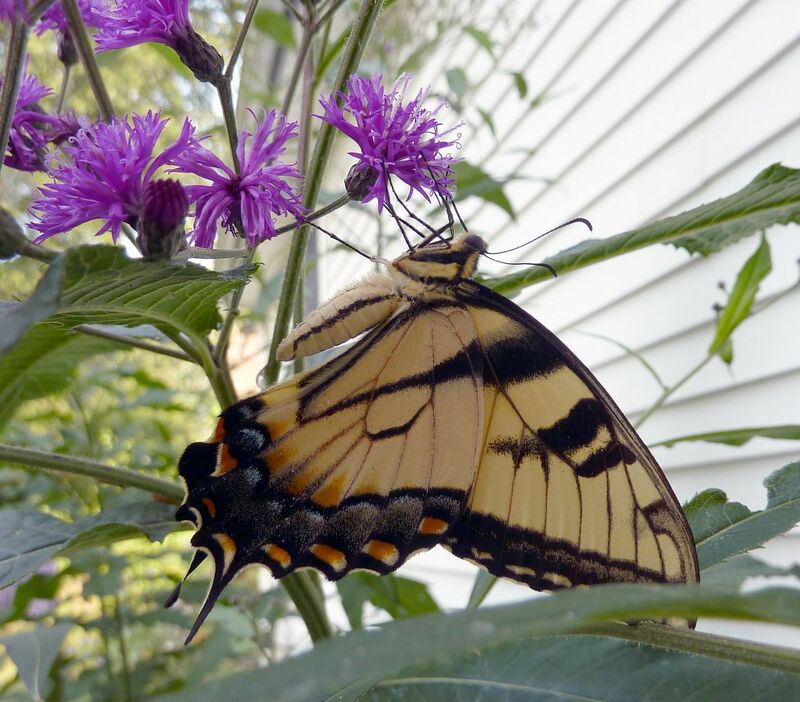 Swallowtails and Monarchs are starting to become common sights flying through the yard. Here an Eastern Tiger Swallowtail, Papilio glaucus, stopped to sip at the Ironweed, Vernonia sp. I rarely see anything on the Ironweed, especially compared to other plants flowering at this time like Mountain Mint, Button Bush, and Anise Hyssop. They're just starting to open up though so I'll give it a few more weeks before rendering my final judgment on them. When I do see pollinators on Ironweed it tends to be butterflies so that's a plus. 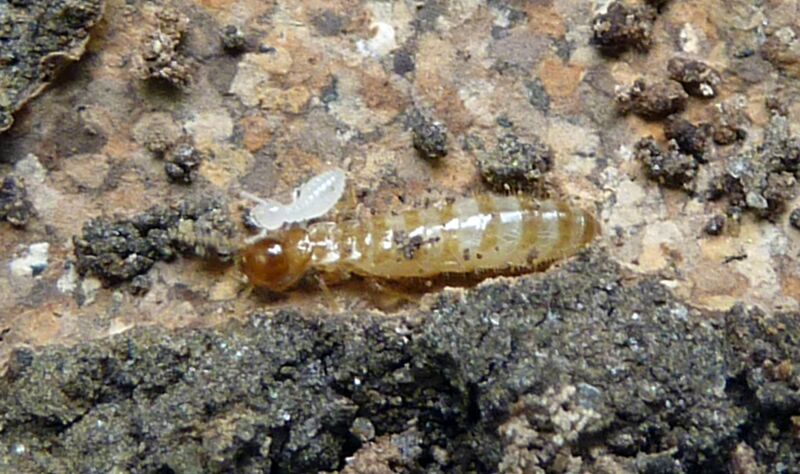 I have no idea what species this but while lifting logs in the yard I found a termite colony. Here you can see a queen next to a developing nymph. 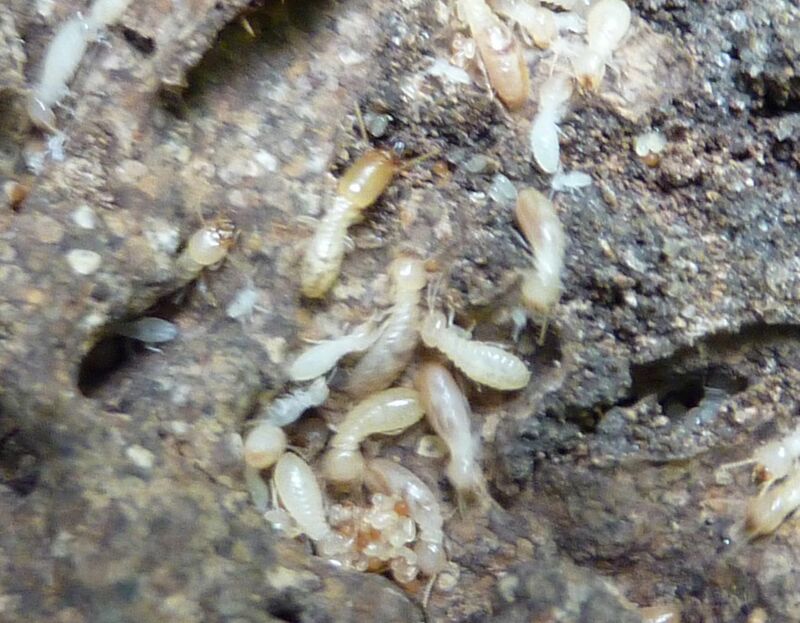 Termites go through what's called "incomplete metamorphoses" meaning they lack a larval stage. From an egg a developing nymph emerges and it's caste can be influenced by what and how much it eats. This colony actually had multiple queens in it. I've read colonies often start out with a single founding queen and king, however they only live for 2 to 5 years or otherwise eventually die. 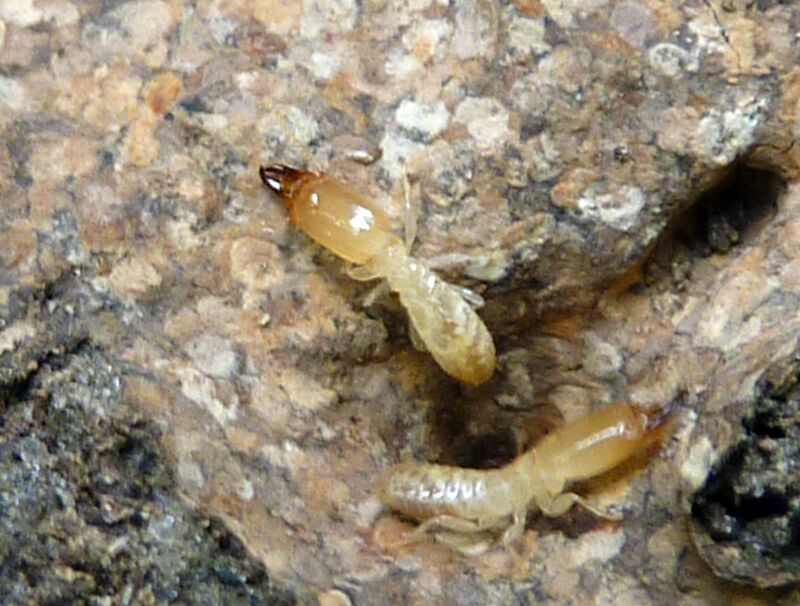 Normally this would be the death of the colony but some species of termites have developed a method to get around this by making more queens that breed inside the nest. You may assume having 100 queens is better than just 1 but even this system has its disadvantages. The one healthy queen they started with was receiving the full attention of the colony. That attention now has to be split among 100 others who will probably never live up to their founding mother's glory. Here are some solders roaming about. Notice how the nest texture is similar to cork board instead of the earth that surrounds it. The nest was a mix of subterranean and damp rotting wood. In the lower middle you can see some eggs among other things. The brown spheres are a sort of fungus that the termites don't eat. It purposely shapes itself like the termite's eggs. Alex Wild has better photos of this. In the past week the honeybees have really taken to my garden. They were working all the Butterfly Weed, Mountain Mint, and Buttonbush in my yard. The Anise Hyssop is just starting to open up too and I'm sure the bees will be all over it in a few days. The buttonbush I'm particularly proud of. Two years ago it was only a 3gallon pot. Last year it produced only 4 flower balls and even then it was enjoyed by a few honeybees. This year it seems to be making a few dozen flower clusters.